The Pagemaster features Macauly Culkin as protagonist Richard Tyler, a young boy who is sucked into an animated realm upon entering a seemingly abandone dlibrary during a heavy storm. There he encounters all sorts of literary characters ranging from Dr Jeklyy to Long John Silver, all governed by the Pagemaster (Christopher Lloyd); the guardian of the written word. Joined by three books Fantasy (Whoopi Goldberg), Adventure (Patrick Stewart), and Horror (Frank Welker), Richard faces the task of confronting his inner fears and making it to the exit to return to the real world once again. 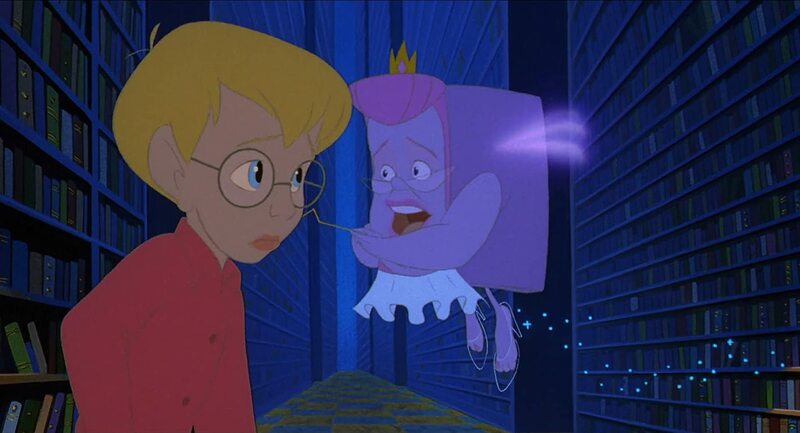 As you may have guessed, The Pagemaster blends both live action and animation; though the majority of is the latter. It works in a creative way, even if the live action segments do tend to drag once the film begins. Once the animated sections begin, it shows itself to be very nicely drawn and vibrantly animated, but the key weakness here is the plot - clocking in at just 68 minutes excluding the credits, and with the entire animated section only lasting about 45 minutes, the film can't help but feel rushed when it comes to portraying and developing this vast array of literary icons. The pacing is poor and the characters a bit weak; however, underneath the flaws, there's still a charming, harmless film that has a creative core, a brilliant cast, and some excellent visuals. Directed by former Disney animator Richard Rich, The Swan Princess sought to mimic the romantic vibe from classic Disney fairy tales, but just ended up creating something that's shallow and painfully lazy. The main character is Prince Derek (Howard McGillin), whose mother tries to raise him to love Odette (Michelle Nicastro), a princess from a neighbouring land, so they can eventually marry and join the kingdoms together. Despite hating each other for their entire childhood, Derek and Odette suddenly fall in love at first glance when adults. Derek arranges a marriage, but Odette shuns him - she is then kidnapped by the bitter sorcerer Rothbart (Jack Palance), and turned into a swan (though only at night) until she agrees to marry him. This is where Derek embarks on a quest to save her, and now she suddenly loves him and awaits his eventual arrival. It makes no sense. I had to sum it up but provide some more detail to get my point across for newcomers - the film's animation, voice acting, and general sense of humour show some potential, but this a story that needs to focus on it's romantic leads, and they simply have no chemistry. It feels as if the writers gave up halfway through production in order to avoid putting any thought into character development or genuine storytelling. The villain is flat, the narrative generally nonsensical, and John Cleese's French accent is bloody awful, and so this is a film with little appeal that doesn't even come close to rivalling Disney's efforts. Rodney Dangerfield was an acclaimed stand-up comedian back in 1980s, known for his catchphrase of "No respect" and his ability to spout out rude yet witty one liners with minimal effort. There's no clear reason as to why he decided to write and produce a kid's film featuring him as a dog, and the final product is just as strange as it sounds. Rover Dangerfield is mainly criticised for it's dull plot and nonstop barrage of cheesy one liners - said 'plot' is just there as a basic backdrop to justify Dangerfield spouting a number of bizarre jokes referencing his dog persona. A few of them work, but most of them do not. But Rover Dangerfield has it's charms, and a few funny gags here and there. Dangerfield is no professional singer, and while the songs are badly written and pretty meaningless, some of them still have a catchy beat to make them guilty pleasures. The animation is also decent, as is some of the voice acting, and so this is a film that's not as bad as it's made out to be (for me anyway), but it's certainly nothing exceptional either. FernGully is a usually referenced when criticising James Cameron's Avatar, which is commonly branded a sci-fi rehash of this film's general story and morals. It's an effort to promote environmentalism and demonstrate the value of the forests that we continuously destroy for our own needs - told in a way to appeal to children; the main character is Crysta (Samantha Mathis), a young fairy living in a colony of fairies that seek to protect the forest. Upon witnessing a human named Zak (Jonathan Ward) and his colleagues take part in deforestation, she shrinks him to her size and begins to reveal to him the beauty of the world around him, and this leads to a mission to stop the pollutant monster known as Hexxus (Tim Curry) from destroying the forest and it's beauty for good. It's neither great not bad - just an average animated film with a typical rushed love story and predictable ending. The songs are pretty dull, aside from Toxic Love, and the only real things that stand out are the pleasing visuals and Tim Curry's surprisingly devoted performance as the cool albeit underdeveloped villain. Robin Williams finds himself in a supporting role as Batty, a deranged bat driven crazy by human experimentation. He was a talented man, but here he's simply not funny; just ungodly annoying, which gets worse and worse as the film goes on. Not an awful movie, but not something I'd immediately recommend. Former Disney animator Don Bluth directed famed classics such as The Secret of NIMH and An American Tail - he also directed a number of stinkers including The Pebble and the Penguin, A Troll in Central Park, and this here Thumbelina. Much like The Swan Princess, Thumbelina is a painfully obvious attempt to mimic the formula of Disney fairy tales in order to leech off of their success. 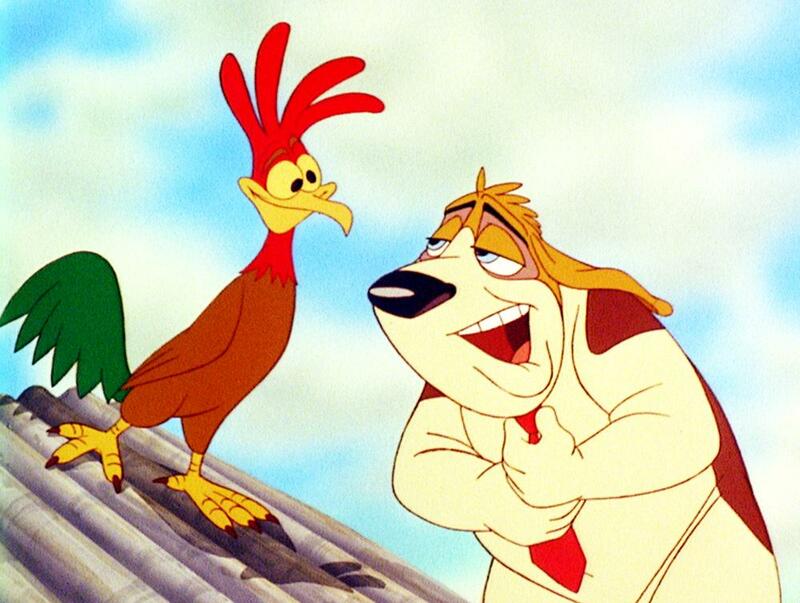 It even features Jodi Benson as the title character, and Kenneth Mars in a supporting role - both of whom appeared in The Little Mermaid five years prior. For some reason, even acclaimed actors John Hurt and Gilbert Gottfried also decided to get involved in this nonsense. This film offers very little outside of a ridiculously underwritten love story and a forgettable, often painful, lineup of songs. Famously, Marry the Mole was awarded the first Razzie for Worst Original Song, though I'm surprised that accolade didn't go to On the Road - sung by a toad with a sexualised female body (seen above). Said toad appears in the film for over 5 minutes - and just one second of film has 24 frames, all of which need to be hand drawn in this instance. This means this toad was drawn over 5000 times in order to be animated. Did the artists never get a bit disturbed with this? Sorry. 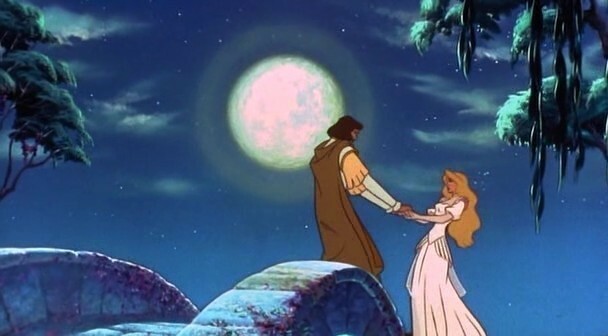 But aside from that, Thumbelina is actually well drawn, as Bluth has always been incapable of creating bad animation. 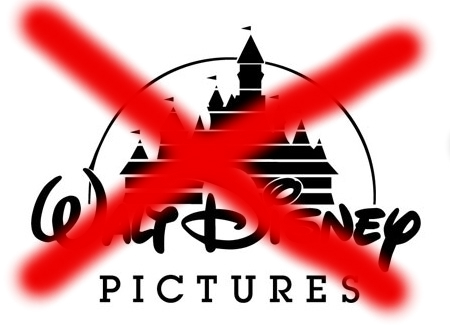 That aside, it's just a lazy Disney imitation, and ended up being another nail in Bluth's coffin that just further lead to his eventual demise. Directed by animation star Brad Bird, who eventually went on to make Pixar's The Incredibles and Ratatouille, The Iron Giant was a film that exemplified his desire to bring a political message into a simple animated story, and adapt it into something more complex for older audiences. The story features Hogarth (Eli Marienthal), a lonely boy living with his widowed mother Annie (Jennifer Aniston). His dull life is turned upside down when he encounters and befriends a mysterious giant robot who crashed onto Earth just days prior; from there begins a touching story between two unlikely friends that deftly blends comedy, emotion, and genuine thrills. The animation is particularly impressive, with the titular character constructed entirely through cel shaded CGI, which is seamlessly integrated into the lush hand drawn visuals. The supporting voice cast consisting of Christopher McDonald, Harry Connick, and Vin Diesel bring a host of likeable characters to life, complimented nicely by Brad Bird's confident direction. It's certainly a fantastic piece of work that did not deserve to be such a box office failure.